Joe Miciotta of Carlton Road in Clifton Park works on his elaborate Christmas light display Thursday, November 29, 2018. 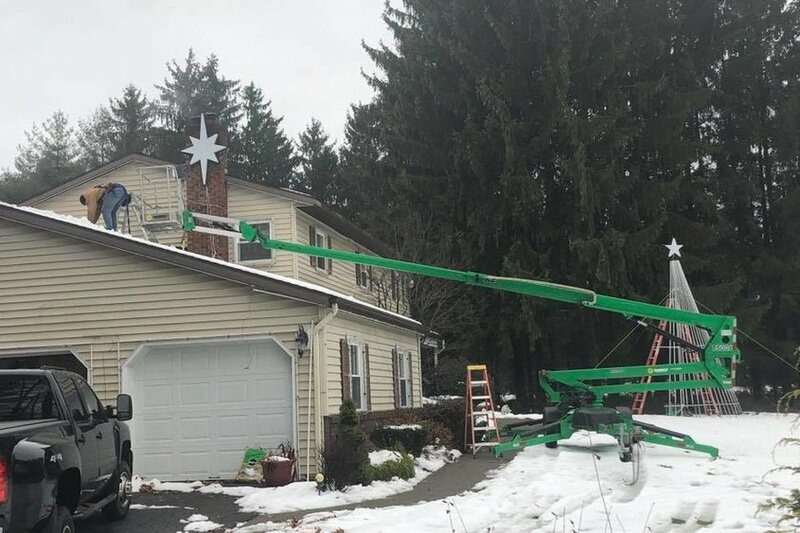 Carlton Road in the Town of Clifton Park will be a brighter street than usual throughout the holiday season, thanks to some town residents and their famed holiday lights display. Joe and Diane Miciotta, who live at 780 Carlton Road, have for years been stunning neighbors and passersby with their big annual Christmas lights display on their front lawn. It runs throughout December and into the new year. “It’s my favorite holiday,” Joe Miciotta said, calling the display a family affair. Miciotta previously lived in Brooklyn, where he decorated his parents’ home with lights. An electrical contractor by trade, Joe knows his way around the multitude of lights on his lawn. The models used in the displays are color-changing lights. The entire display is a 26,000 LED light display. This year, Miciotta said, another 2,800 LEDs will be added. There is also a 16-foot mega Christmas tree and radio feed that drivers can tune into to listen to the holiday music attached to the light displays. The channel is the result of a small FM transmitter that will not broadcast the sounds if drivers go more than three quarters of a mile away from the site. The large tree is put up around Veterans Day, and last year the entire display was ready for action on Dec. 5. “It’s evolved into what it’s become today,” Miciotta said. It takes about a half hour to program one minute of each light being on, and each light is individually programmed. The set up usually takes multiple nights and weekends, and family is enlisted to help out. “Each tree, each candy cane, each thing is programmed separately,” Miciotta said. This year, there will be a camera system in place to monitor the lawn and protect against vandalism of the displays, which, unfortunately, has occurred in the past. But once the lights go up, it’s worth it, the Miciottas said. On any given night during the season, up to eight cars can be seen driving by the lawn to look at the lights. People also park their cars at a nearby public park and watch the lights from across the road. 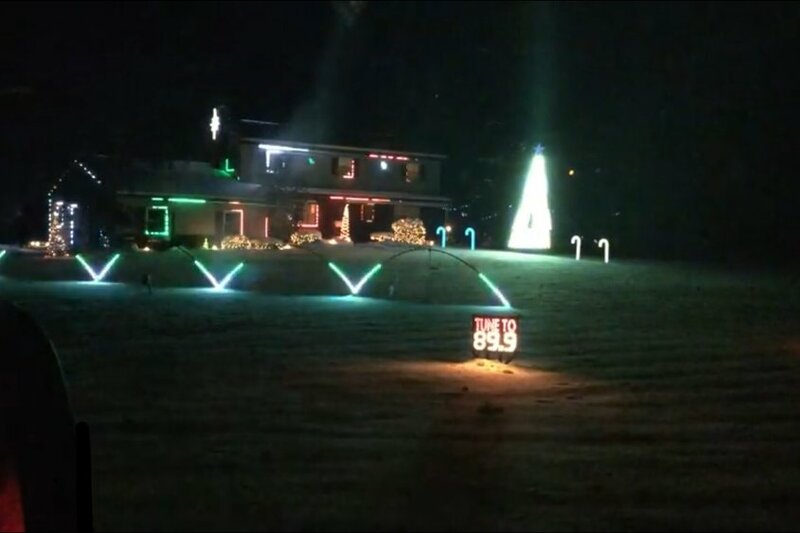 However, with the traffic that comes with the light display, the family has taken steps to be respectful of their neighbors. Typically, the Miciottas power down the displays at 10 p.m. on weekend nights, and 9 p.m. during the week. On Christmas Eve, the Miciottas said, the display is on for some extra time. The Miciottas have received a large amount of positive feedback from the lights display. Many families bring their kids back year after year. One parent, Diane Miciotta said, contacted her to commend the family for providing a display that was quiet and personal, and a good chance for her child, who has special needs and is nonverbal, to celebrate the holidays just like everybody else. “That was very touching. It makes it all worth it,” Diane Miciotta said.